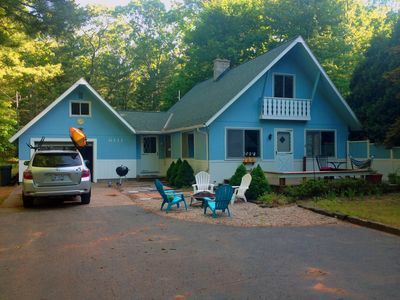 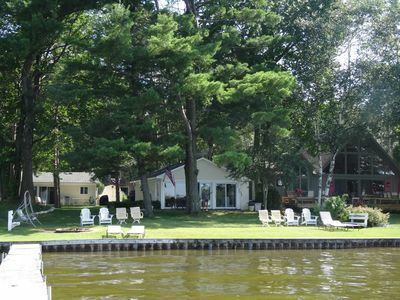 Quaint Lakefront Guest House On Beautiful Stony Lake. 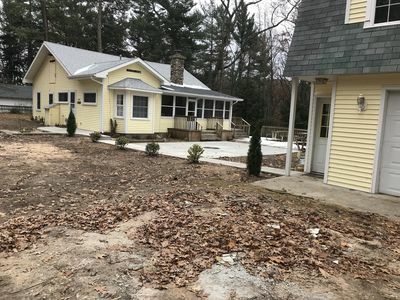 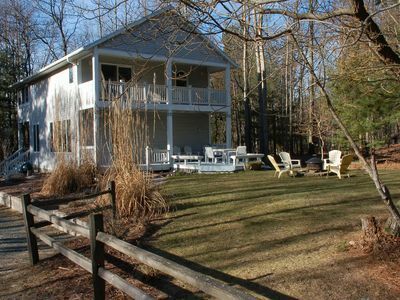 Enjoy beautiful sunrise views of Stony Lake from the screened porch of this quaint guest house. 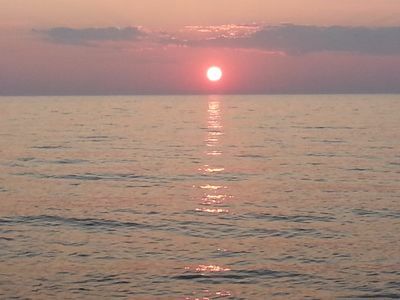 Sunsets can be enjoyed just a quick walk to Lake Michigan. 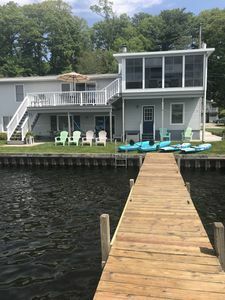 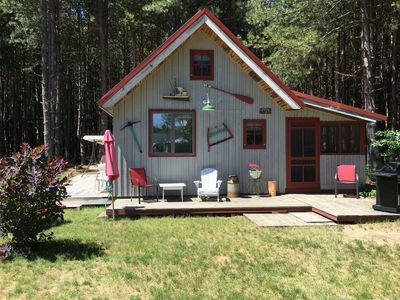 Guests also kayak, canoe or float down the quiet pristine trout stream connecting Stony to Lake Michigan. 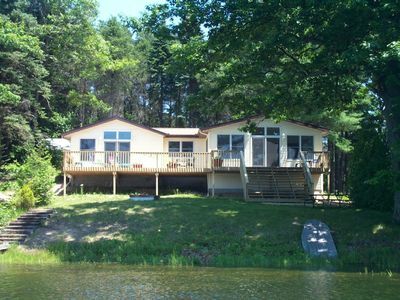 The waterfront area is shared with the main lake house and owners family. 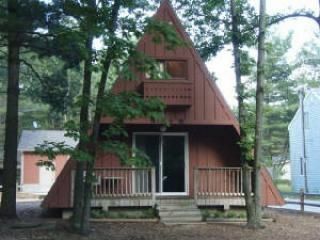 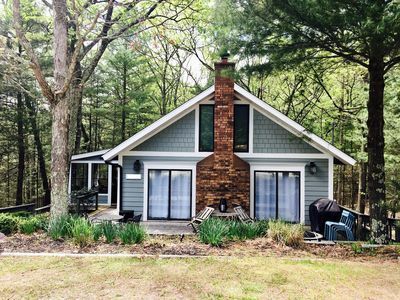 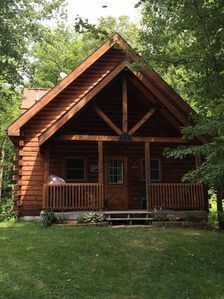 The cottage has one bedroom with a Queen bed and a twin studio bed in the great room. 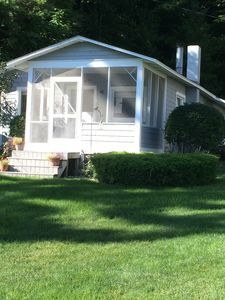 Port a crib available on request. 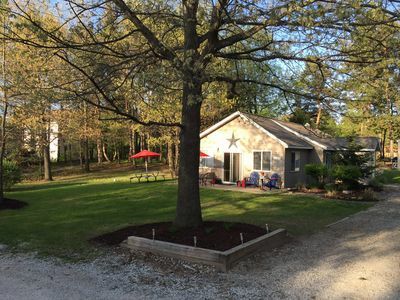 Located on a dead end road, ideal for retired couple or young family with small children. 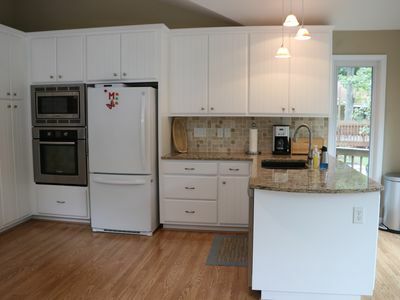 Full convenient kitchen with long center island counter. 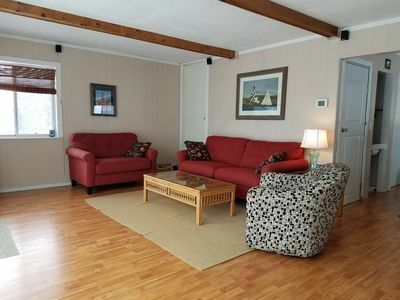 Great room boasts working wood burner stove for chilly nights. 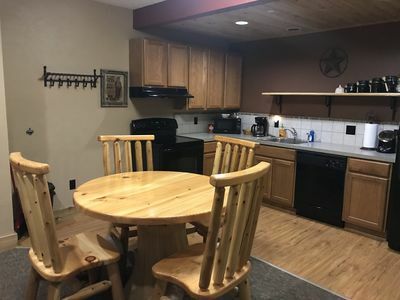 Local attractions include Silver Lake Sand Dunes, several golf courses, horse back riding, indoor water park. 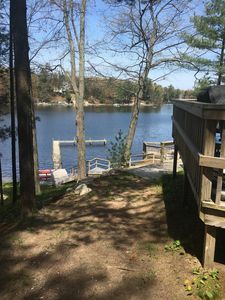 Stony Lake is a spring fed all-sport lake great for fishing, swimming, power boating, sailing, paddle boarding and kayaking. 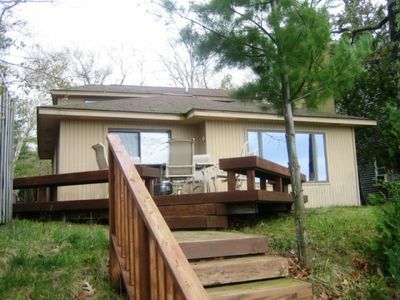 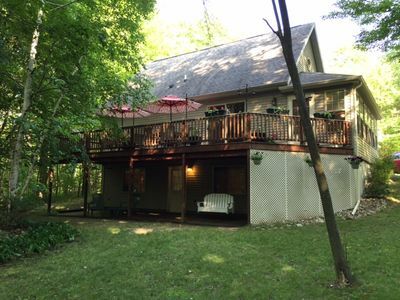 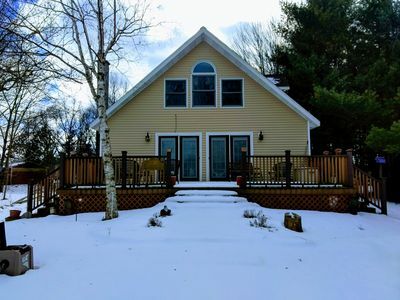 Large 4BR with 40' Private Dock on Pentwater Lake. 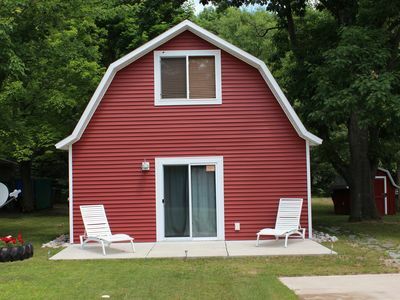 The Sand Pail Vacation Cottage By Beautiful Lake Michigan Beaches.